We are pleased to announce that applications are now open for the 2019-2020 IIEP-UNESCO training programmes. The upcoming training sessions feature three key programmes in educational planning and management. Blending theory and practical elements, we offer both online learning and residential training at our headquarters in Paris, France. Programmes vary in length from our two-week specialized courses to the Master’s level equivalent Advanced Training Programme (ATP), which takes one year to complete, including six month’s residential training in Paris. Designed to bolster the individual capacities of educational planners and managers, our programmes contribute to the institutional capacity that ministries of education require to carry out education sector analyses and plans that reflect both national priorities and their commitments to Sustainable Development Goal 4. All of the programmes described below are offered in English and French with simultaneous translation during the face-to-face courses. Participants can also pursue our courses in a modularized way, meaning that they can, for example take the Education Sector Planning course first, and complete the ATP later. From April to May 2019, IIEP will offer six two-week courses at IIEP in Paris, France. Each of the courses cover a specific area, such as teacher management and quantitative methods for monitoring and evaluating the quality of education. Participants must successfully complete three of these short courses if they are studying for the ATP, but these courses are also open to others who want to enhance their skills in a particular thematic area. Development partner staff often join Ministry staff on these short courses. Successful course completion is recognised as part of the ATP. Interested in this programme? Learn more. This course combines 12 weeks of online learning and a 13-week residential training phase at IIEP. Providing participants with the fundamentals of educational planning, it covers areas such as an education sector analysis/diagnosis, plan preparation, and the implementation and monitoring of an education sector plan. The course begins in September 2019 with an online phase in-country and finishes in March 2020 in Paris, France. The ESP can count towards completion of the ATP one-year programme in educational planning and management. IIEP International Certificate of Advanced Studies in Education Sector Planning given upon successful completion. 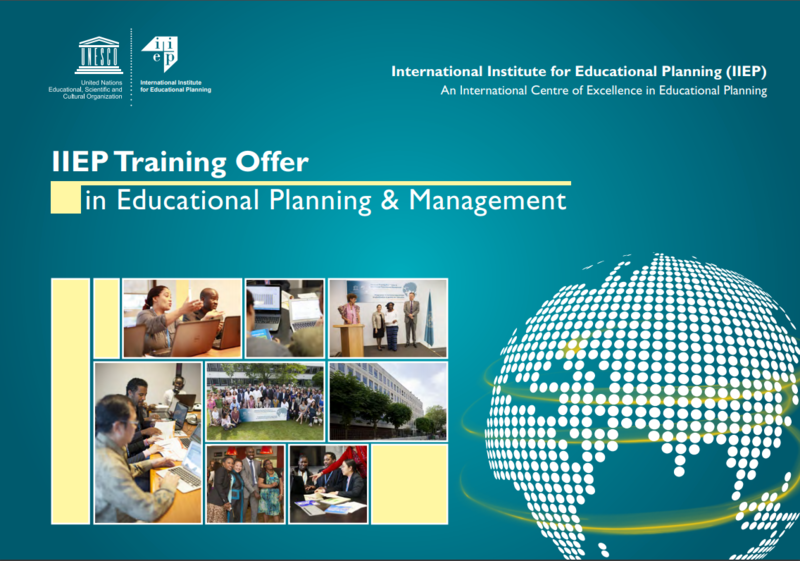 This year will mark the 55th session of the Advanced Training Programme, the flagship one-year programme offered by IIEP-UNESCO in educational planning and management. This programme includes the ESP course and the SCP, as well as a tutored project that participants complete in their home countries. An intensive and practice-oriented course, the ATP prepares its graduates to enhance their performance and future careers as education planners and managers. IIEP Master’s equivalent level certificate awarded upon successful completion. Who should apply to train at IIEP? Holders of a first degree, or equivalent qualification. Scanned copies of diplomas, degrees, and other relevant training certificates.